Liver is one of the organs in the human body which contributes for smooth digestion of food that goes into the body. Hence, undergoing tests such as liver function test which are designed solely for purpose of keeping a tab on liver health from time to time is important. As mentioned before, liver is responsible not only for proper digestion, but also for a host of other tasks like fighting infections, producing cholesterol, controlling blood clotting and many more important functions. However, a demanding lifestyle which is not necessarily healthy, puts pressure on your liver. Thus inviting life-threatening and life-altering illnesses which are enough to disturb your routine and peace of mind. Obesity and drug abuse along with alcohol addiction are largely responsible for affecting the liver. Alcoholic liver disease, cirrhosis, hepatitis C, fatty liver disease are just a few of the disorders afflicting liver and its functioning. There are more and more diagnostic centers and medical centers coming up offering facility of liver function test in different cities across India. Hereby compiled is a list of liver function test packages available in India that can help you keep a check on your liver's health. This list will help you to locate the centers offering liver function test in your own city. Albumin: Liver manufactures a protein called albumin. A serum albumin test is designed to pinpoint the proportion of this protein present in a particular blood sample. This test helps the doctor to know whether the person has a dysfunctional kidney or liver. ALP: The levels of this protein type are determined through a simple blood test. 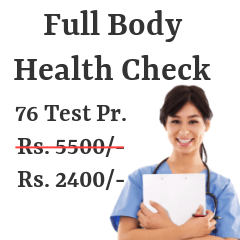 This test also helps the doctor in ascertaining the condition and smooth functioning of gall bladder and liver. Moreover, this test is also helpful in detecting disorders of bones such as weakening and softening of bones due to various vitamin deficiencies. ALT: It is done through a blood test for measuring amount of alanine transaminase enzyme in your blood. This enzyme is present in differing quantities in heart, pancreas, kidneys, muscles and liver. This test is ordered along with aspartate aminotransferase for determining liver damage due to alcohol addiction. AST: AST is an enzyme mostly present in liver, pancreas, kidneys, heart etc. AST levels are checked through a simple blood test. It is done for determining cause of jaundice, damaged liver, hepatitis causes etc. 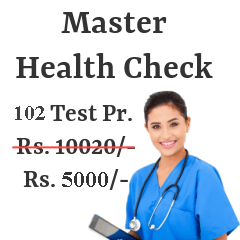 this test also helps in monitoring treatment line initiated by doctor for liver diseases. GGT: GGT is an enzyme present in blood in high amounts. This liver function test is done by drawing a blood sample and is done in conjunction with other liver profile tests like AST, ALP, ALT etc. Alcoholism, cholestasis, less blood supply to the liver, liver cirrhosis are few factors responsible for an increased GGT level. Serum bilirubin test: Serum bilirubin is a yellow-colored pigment present in the blood. High levels of bilirubin is responsible for development of jaundice in a healthy person. A single bilirubin test gives the doctor precise results of total, direct and indirect amount of bilirubin in one's blood. Bilirubin testing also helps detect damage to the liver. Alpha-1 antitrypsin: Alpha-1 antitrypsin is a gene in your blood. Alpha-1 antitrypsin test aides the doctor in detecting the proportion of this gene in a patient. Measuring this gene gives the cause of recurrent bouts of jaundice and liver disease in children and adults alike. It is also ordered for a person who has deficiency of Alpha-1 antitrypsin. Cirrhosis and liver tumors are detectable through this test. 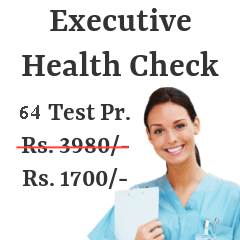 The above packages give you a rough idea about liver function tests available in different cities in India. These packages can be customized according to your needs and requirements. We have compiled the list for the ease of readers. So make an informed decision about the packages with our help. Your health is as precious to us as it is for you.